One of the most useful pieces of baby gear you will purchase for your little one is a stroller. You want it to be safe and comfortable for your baby, as well as practical, functional, and easy to use for you. 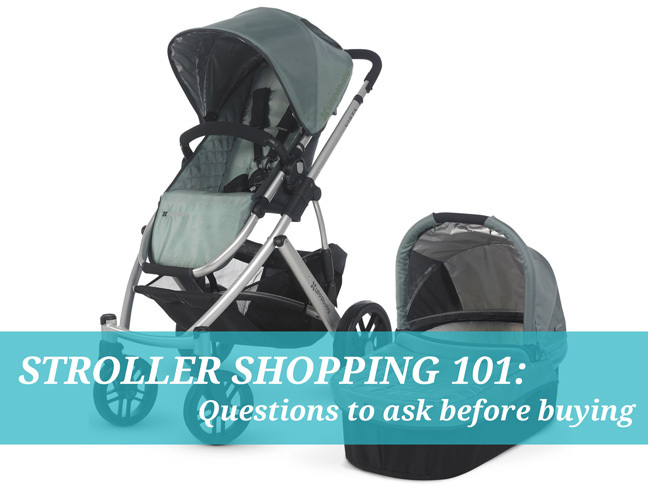 Stroller shopping can be as overwhelming as buying a new car, and if you’re like me you’ll use your stroller just as much (if not more!) than your car, so it is best to do your research. Lucky for you, I did it for you and am sharing it here today. 1. Where and how much will I use my stroller? The type of stroller you buy will likely depend on where you plan to use it. Do you live in a city where you will put a lot of mileage on your stroller, like I do? Will you need to maneuver a stroller on crowded and bumpy city sidewalks? Or will you mostly use it at the mall or park on occasion? 2. Where will I store my stroller? When you buy your stroller, you want to make sure you have a place to keep it and that it works for the type of space you have. Do you have a big space in a garage or inside your home? Or do you have to fit it into a small apartment? Will you have to lug it up and down lots of stairs? 3. Will I need to expand my stroller? If you have or plan to have more than one child, you should consider a stroller with a second (or even third) child option. It may be more expensive at first, but you’ll save money in the long run if you can transform your single into a double. Using myself as an example, I live in a city where I store my stroller inside my apartment, use it on walks daily, and have put more mileage on it in a year than I have on my car. I use it to haul groceries, farmer’s market purchases, and a kiddo. I almost never have to fold it and fit it into my car. And since I planned on more than one child (and am now expecting another) I wanted a stroller that could grow with my family. What type of stroller is right for you? There are several different categories of stroller: an umbrella stroller, a jogging stroller, and stroller travel systems. Within those categories are varying price levels. If you’re not planning to use a stroller often, then you can probably survive with a snap ‘n go for your infant seat and then an umbrella stroller. If you plan to use a stroller often and for more than one child, then I would recommend investing in a travel system. Which travel system should you choose? One other thing to consider when buying a travel system is the price you pay for what you get. 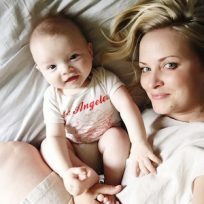 While I do feel the investment is worth it, some travel systems charge extra for the seat, bassinet, canopy, etc., while others include it all for one price. In the end, I went with the Uppababy Vista travel system and Uppababy G-Luxe Umbrella Stroller (There’s now a double version of this stroller called the G-Link, which is brilliant!) We keep our G-Luxe in our car and use it when we travel, go to Disneyland or the zoo, or are on the go. It is lightweight, folds easily, and fully reclines for naps on the go. We keep our Vista inside our home and have used it almost daily since our son was born over three years ago. It is more affordable than most of its comparable competition (like the Bugaboo Cameleon), and the “extras” like the bassinet are included in the price. It has all-terrain wheels (no need to change the shocks like other, more expensive strollers, and going over those bumps and sidewalk cracks is a breeze). It has a huge basket underneath (a huge plus, in my opinion) and so many other great options. You can also add a seat for a second child, and use a piggyback board for a third child (or a second older child). Oh, and Uppababy has the Mesa infant car seat too, which is compatible with their travel system—although if you have a different seat like a Graco or Chicco those are compatible with an adapter. They also came out with a lighter, smaller, and more affordable option called the Cruz which might be a great choice if you just want one stroller to work both in and out of the car. Once you decide what type of stroller is right for your family, you should test drive the strollers that you are interested in to find the one that is the perfect fit. Fold it, push it around, and compare options, extras, and prices. In the end, you want something that will make you, and baby, happy for years to come.